On Boxing Day you may have seen that I done a Cranberry Face Mask DIY and since doing that blog post I've been asked loads if I would do another one so I thought that it's about time I did one. This DIY face mask is one of my favourites to do ever as it's so wonderful for my skin. No one at all likes having dull skin, so I'm going to talk you through ways that you can make your skin brighter at home with things from your fridge; strawberries, yoghurt and honey. Strawberries are rich in vitamin C and salicylic acid. Which means these powerful nutrients brighten, lighten, and cleanse oily, acne-prone skin, creating a clean and clear complexion. 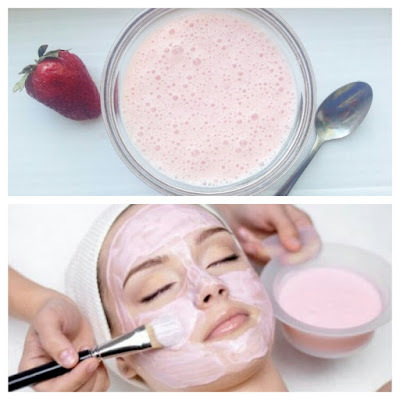 And honey boosts the anti-bacterial action of this yoghurt and strawberry face mask.Here are the skin benefits of the ingredients used in this yoghurt face mask. Strawberry is rich in vitamin C and both salicylic acid and alpha hydroxyl acids, strawberries provide skin brightening and lightening benefits. Honey has antibacterial properties that make honey a great acne-busting ingredient. Also a natural skin moisturiser. Tip: Use very ripe strawberries, as raw ones will be hard to mash into a pulp. - Mash the ripe strawberries using the back of a fork in a small mixing bowl. - Add the honey and yoghurt, and mix them both thoroughly. - Using clean fingers, apply a thick coat of the mixture onto your clean face in a circular motion. - Sit for 15 minutes to let the mixture settle and dry out. - After the time is up, gently scrub off the face mask using warm water. - When the entire mask is off, splash cold water on your face to close up your pores and pat dry with a soft towel. Tip 1: If your face feels dry and stiff, you can use coconut or olive oil as a natural moisturiser. Tip 2: If you have an electronic mixer then you could pop all your ingredients into the mixer and switch on for a few minutes until it's all blended. 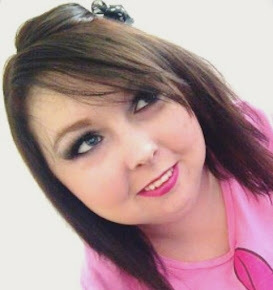 I hope you all enjoyed this blog post and if you do try this let me know either by commenting below or by sending me pictures by tweeting me.